Scientists expect climate change influences the geographical distribution of microbes in the soil, but few studies have dug deeply into that relationship. A study published this week in mSystems suggests the connection can drag across decades. After sequencing soil samples from North American and the Tibetan plateau, and comparing those to historical climate records, an international team of researchers found that today's mix of soil bacteria is strongly influenced by the climate of 50 years ago. "The past climate can better predict bacteria distribution than today's climate," says biostatistician Katherine Pollard, senior author of the study and Director of the Gladstone Institute of Data Science & Biotechnology in San Francisco, California. 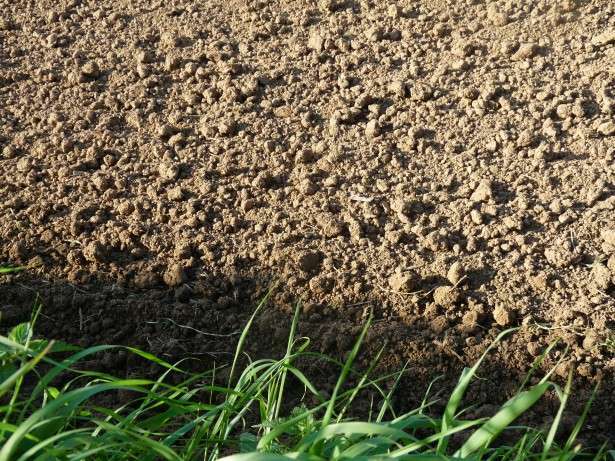 Previous studies have shown a lag in plants and animals, in which organisms take years or decades to adjust to the changing climate, but this study is the first to show such a legacy effect for soil-based prokaryotes. "We found these surprisingly long lags in how the distribution of microbes responds to shifts in the climate and the environment," says microbial ecologist and study leader Joshua Ladau, who worked on the study while at Gladstone. Assuming the relationship between climate and soil microbes isn't changing, he says, it can be used to predict the future. "If climate change were to stop today, what would happen to the microbial distribution if it has time to catch up?" Ladau asks. "What have we already signed up for?" To find out, he and his collaborators designed a statistical model built on the relationship they observed and plugged in the current climate conditions. The model predicts that as soil microbes adjust to today's climate over the next few decades, their diversity will increase over the next half-century across most of the Tibetan Plateau and northern North America. Those findings, says Ladau, are connected to the idea of extinction debt, which has been widely studied in macroorganisms like plants and animals, but not in microbial systems. "Extinction debt" describes a scenario in which an organism lives in a place where it can no longer persist, but may take years or decades to disappear. The study didn't begin with a focus on climate change. Microbiologist Haiyan Chu, senior author on the study, together with his graduate student Yu Shi, both at the Chinese Academy of Science's Institute of Soil Science in Nanjing, had sequenced 180 soil samples from 60 sites on the Tibetan plateau. They reached out to Pollard, at Gladstone, to work on a descriptive analysis of the microbes from different parts of the region. Ladau, then a postdoctoral researcher in Pollard's lab, became curious about the climate connection to those samples, and analyzed global maps of climate records dating back to 1950. The researchers obtained North American samples for comparison. "How far back can we push these things?" he asks. "Decades? Hundreds of years? Millions?"